It's that time of Spring where knitters in, and around, the Very Shannon boards on Ravelry get together to knit some warm weather knits in the Tops, Tanks, and Tees Knitalong. 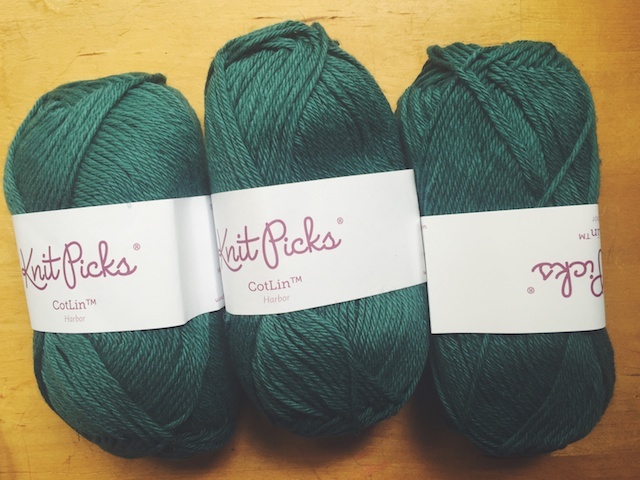 Some of us need encouragement to leave off the heavy sweater knitting and try cotton for the first time. Others want to spice things up with silk or linen. Even more daring, to me, are the knitters contemplating summer dresses. Then, some of just want to stick with our trusty wool, but end the sleeve at a three quarter length. With my first project, above, I didn't have to alter a thing. The Julep Jacket, by Katie Canavan, is both cropped and shorter-sleeved. I have wanted to make this for quite a while, so I'm very excited to show you this sneak peek of the finished bottom band and button tab. Now, I just need to get on that collar and block it all out. This is my third TTTKAL to participate in. I really love this group of knitters. They always teach me something and encourage me when my projects come out too big or too small. Now that I spend about half of my knitting time on summer weight knits, my favorites list explodes with all of their suggestions and finished objects. 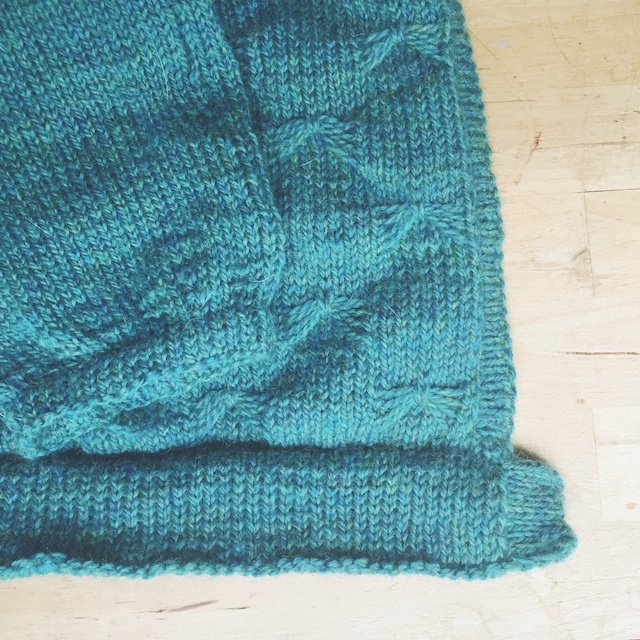 This knit along has been one of my big motivators to try new fibers for summer. Last year it was 100% linen for Hawt Sands. Before that it was cotton blends with Lady Bat. (I just realized both of those knits are from the same designer.) But, the inspiration continues on through the summer, even after the KAL has ended. My second project for this year's KAL will be Shannon, a tank top designed by Valentina Strokina during last year's TTTKAL. I bought it, but just sort of sat on it for a while, until the warm weather came back around. I'll be using Cotlin for this, a yarn I'm getting very used to working with. As you can see I'm not finished with the bright blue-greens yet. But after these two tops, it's all going to be neutrals for a while. My new yarn to try this summer will be Lindy Chain, which I'm planning on using after these two tops, for Annie Claire's Morning Mist. It's really nice to knit up a design by a friend I've made on Ravelry. Katie, Valentina, and Annie are all lovely knitters I've had the privilege of getting to know via the Very Shannon and Holla Knits forums and various KALs. Want to be friends, too? It's not too late to join in on the TTTKAL.